when are Duty Free Stores open hours ? ☞from 7am until 9:30pm daily . is Duty Free Stores much cheaper than local stores in-town ? ☞should-be by-definition, still differs by country : where in South Korea On-Line Stores offer cut-throat cheapest prices, but all require a citizen or foreigners’ registration number to become a member to start with . but many locals still purchase here when price is roughly the same, for there are other factors in play : such as accumulated points or mileage on certain credit cards and membership, plus discount coupons readily available at major shopping districts like MyeongDong and transportation hubs like SEOUL Train Station . how many electronics stores are there inside inCheon AirPort ? ☞largely four operated by Lotte and Shillla (has two) conglomerates and Korea Tourism Organization but an additional one with ONLY SamSung Electronics product and another with shavers and cameras . aside from the first four : the rest are not Officially mentioned nor mapped perhaps due to contract reasons (as they procure tons of profits) and they change regularly thus not mentioned here neither . do electronics sold within Duty Free zone have Global warranty ? ☞in essence : all should, but You should check each product prior to actual purchase . Do they sell iPhones at inCheon AirPort ? ☞No, cell phones are usually sold with two-years subscription plans at telecommunications branches of KT, SKT and LGT plus recent discount carriers which piggy-back on top of the earlier three mentioned . other international airports such as Hong Kong sell unlocked smart-phones but non in South Korea does, again perhaps due to contract reasons . *Appended Christmas 2015 : ShinSeGae/Shilla now sell unlocked iPhone 6S – all capacities and colors – at their WebStore for pick-up at airport of your choice, but availability changes . ☞Yes they have iPads and iPod Touchs (iPhone without phone capability) and prices are usually the same as Official On-Line Store . Do they sell iPads earlier than South Korean release, for it usually comes several Months after North American sale dates ? ☞No, although Duty-Free Area is supposed to be international waters : all stores inside Duty-Free zone follow Official sale dates followed by Apple Korea . are there many electronics stores out-side Duty Free zone too, at inCheon AirPort ? ☞None, aside from roaming rentals . but inside inCheon City (which is quite hard to get – mapped on this BLog) is geographically the closest – about an hours drive East from the Airport . but an hour on Express Train will take You to SEOUL KTX Train Station and two stops from there South is YongSan – SEOUL’s major electronics district informed extensively on thie BLog Woohaa ! how about : if I have several hours connection time between flights at inCheon AirPort – are there shopping malls near-by where I can purchase electronics ? ☞Mentioned above and I might write about hotel options for staying over-night ..
Hello….good day…i am going to US and have a stopover at incheon airport. Where can i buy samsung s8 plus inside your airport? Will it be more cheaper to buy at the airport? Waiting for your reply. Thank you. Cell Phones is one item they don’t sell at the airport – outside nor inside the PassPort check area. However sales tactics may change and they may sell Galaxy or LG’s somehow, but never iPhones. if you are serious enough, it would be worth the trouble of coming outside the AirPort (there is a town although full of apartments, only a few subway stops and still in the same island) even for an hour to go to a store in inCheon (City) or look through South Korea’s extensive second-hand forums. 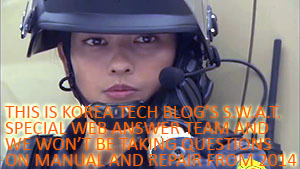 Thanks for your blog and insight into the Korean tech market. Very useful for us English-speakers. I want to buy the LG Gram computer 13Z980 (13.3″, i5-8250U, 8gb Ram, 256ssd, non-touch). Language of operating system doesn’t matter to me. I only want this exact model. I can schedule a flight so that I pass through Incheon in one month (the first week of June, 2018). I would be in Incheon during the daytime and would have many hours to find the store and test that the computer functions, but I can’t leave the international zone. Do you think I will be able to purchase this LG computer in Incheon airport? – I looked at Shilla Duty Free site, but I can’t find any list of available electronics or product catalog. – I also read now that Lotte will close its Incheon duty free at the beginning of July, 2018, since the duty free business isn’t as profitable as expected (fewer Chinese tourists than anticipated, it seems). So it makes me think it might be harder than I thought to buy the specific LG Gram model I want. This laptop is common enough now in Korean stores (online, at least), but I really don’t know how certain it is that I can get it in the airport. – Is there any pre-purchase option that I could arrange with a seller? Not sure it it’s possible in Korea, but for example, could I email a store or retailer so that they definitely would have the laptop in Incheon international zone for me to buy when I arrive? I need to book the flight within the next few days. If I can’t get the LG Gram I want, then it’s silly for me to fly through Korea and I’ll book a different (direct) flight. my respects on your effort to travel to get what you seek, as I too cross oceans to pick-up an iPhone.. but this is not possible – basically on the fact that you need to pick-it-up at the airport, more-over within the Duty-Free Zone. 1.LG as well as SamSung model numbers, vary on what they sell at brick-and-motor store-fronts, On-Line and abroad while yours are selling On-Line and abroad, in the States. 2.a couple of Duty-Free Shops at the airport (so-called electronics corners), as well as a hand-ful in the Capital and Jeju island carry very few laptops or even computers. so the problem can be solved if you can come-out of the airport even for say, four hours for a round-trip taxi-fare KRW 40,000 within inCheon or 130,000 into downtown SEOUL. best place to look-around is at one of LG Show-Rooms called Digital Plaza but they have limited number of models – which would be totally different than what they sell On-Line . so the only way is to search On-Line with a Korean-speaking colleague or friend, then go to that exact store which should be in YongSan Electronics Market. 3.but I can tell you the lowest discount (which is On-Line) price on this in South Korea is KRW 1,500,000 while available much cheaper in North America for USD 1,050 ~ 1,200. so you may be seeking this here, as it is not available in Germany? – no more questions on this please and Good Luck !